The Meeting was held at St Edburg’s Church Hall, Bicester. Fifty one members and nine guests were present at the meeting. Bob Hessian introduced himself as the speaker and started his talk by describing his early interest and passion for the subject. One of the earliest railway networks constructed in the Bicester area linked Oxford, Bletchley and Cambridge. It became known as ‘The Varsity Line’. 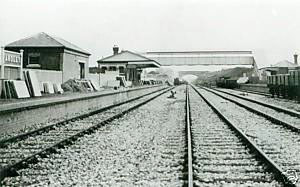 Work commenced in June 1848 with the line opening in 1851. A few weeks after the opening, a major accident happened outside Bicester London Road Station, resulting in the death of six passengers. 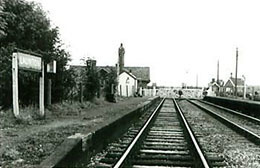 A number of small stations and halts were constructed at Islip, Oddington, Wendlebury, Launton and Marsh Gibbon to serve communities along the route. 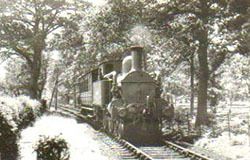 By the early 1900s twelve trains a day were providing a service. The line was closed as a passenger service in December 1967 as a result of the Beeching Report proposals. Passenger services were reopened in 1987 between Oxford and Bicester. Plans are currently being drawn up to enable the line to be upgraded to run a service from Oxford to London by Chiltern Railways. In 1904 the Great Western Railway decided to link the Birmingham line at Aynho to the Great Central Railway at Ashendon Junction. Work began the following year with the construction of 18 miles of double track and stations at Ardley, Bicester North, Blackthorn and Ludgershall. The work involved building embankments and tunnels and was completed in 1910. The line narrowly escaped closure in the 1960s and was completely re-furbished in the late 1980s. Today, it is one of the most efficient services in the country with excellent connections between Birmingham and London. Slip coaches were a feature of the railway operations until this service ceased in September 1960. A number of smaller branch lines operated in the Bicester area at various times. The Wotton Tramway (Brill Branch) was a seven mile single track construction that was completed in 1872. The railway between Quainton and Brill was a private venture crossing the Duke of Buckingham’s land so did not require an Act of Parliament to build it. Initially it provided a freight service but eventually accommodated passenger traffic as well. The service was slow as there were a number of halts along the route and field gates to negotiate. Average speeds were about four miles per hour. The original plans were to continue the line from Brill to Oxford but these were never completed as finances were not available. 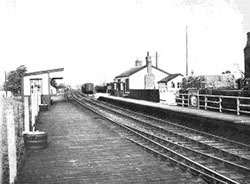 The line closed in November 1935. 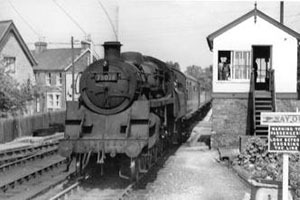 The four mile branch line linking Kidlington to Woodstock opened in 1874 and remained in private hands until the 1890s when it became part on the Great Western Railway. Shipton on Cherwell Cement Works had its own railway system for a number of years. 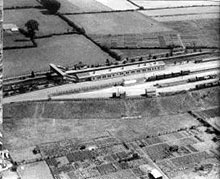 The Bicester Military Railway was constructed in 1942 to serve the needs of the Ordnance Depot. There were 45 miles of track linking the Gravenhill and Arncott sites. 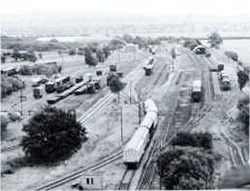 Freight and passenger services were provided on the complex and steam trains were replaced by diesel locomotives in 1965. Other military railways existed for short periods at R.A.F. 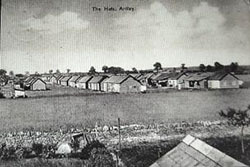 Bicester and R.A.F. Weston on the Green. Pete thanked the speaker for an informative talk that increased our knowledge of the railways in the area. Bob answered questions from the audience. The meeting closed at 9:27 pm.